Read this review of Auto Trading Hub (ATH) to understand why you have to stay away from this program. Auto Trading Hub makes a simple proposition: they will give you a profitable automated trading system for free and you will make money. When you put it like that, it is clear that something does not add up. We have to repeat it again and again, money is not free. In fact, money is the opposite of free. So, when anybody promises to make you money for free, you have to ask yourself where the catch is. 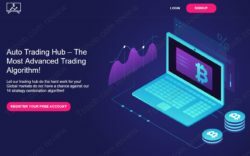 And indeed, there is a catch with Auto Trading Hub, it is not free, because you will not be allowed to use it until you deposit with one of the brokers they selected, you have no choice. There you go, the minimum cost to start with ATH is $250, it is not free! Auto Trading Hub is showing some alleged trading results of their system, but we are 100% sure they are fake. 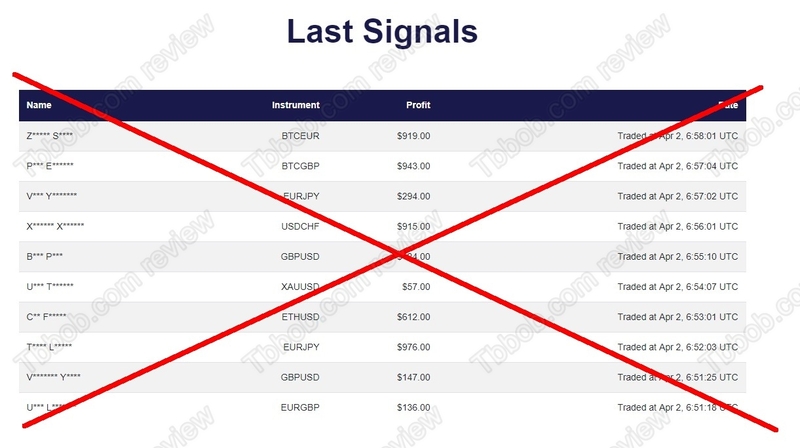 This is a dirty trick, they try to make you believe that all their signals are winners, but it is impossible. Auto Trading Hub is obviously a fishy scam. Should their system be profitable and really free, they would let you try it on a demo account with any broker. Auto Trading Hub is just an affiliate tool to make you deposit with affiliated brokers. People who run this system are getting paid by their partner brokers for referring new depositors, this is how they make money. And they use this dirty trick to make you deposit, they promise you a free winning system, meanwhile they don’t have it. They just lie to you, so that you deposit through their system and make them earn an affiliate commission with their broker. If you do it, you will quickly realize that you are losing money with Auto Trading Hub, but then it will be too late. Auto Trading Hub is a typical scam, it is a losing system designed to make you deposit money, so that people who run it earn a commission. Stay away from it! You should always try and verify any trading system on a demo account before trading it with real money. Learn on the demo how to trade profitably, only then you can start thinking about trading with real money.